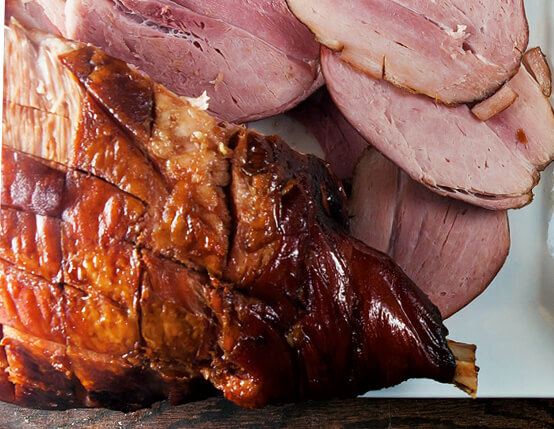 Give your ham glaze a jolt with this unique recipe featuring brewed espresso. Brewed coffee also does the trick. 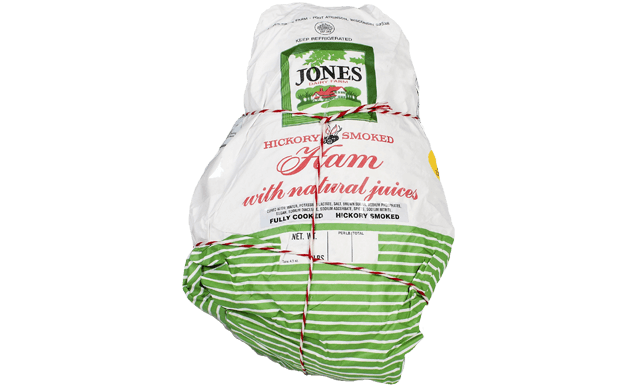 This recipe is made with Jones Fully Cooked Ham. Heat oven to 325°F. Place ham, fatty side up, in a large roasting pan. Cook 15 to 18 minutes per pound, until internal temperature reaches 145°F. Minutes before the end of the heating time, combine the espresso, brown sugar, cider vinegar, and cayenne pepper in a small pot. Bring to a boil and let reduce by half. Using a sharp knife, score the ham in a diamond pattern; brush on half of the glaze. Bake for 15 minutes; brush on remaining glaze. Bake an additional 15 minutes, or until done.